Daniela Kroshinsky, MD, MPH and Luren Strzzula, MD both from Massachusetts General Hospital wrote in their article entitled Pressure Sores (Bedsores; Decubitus ulcers; Pressure Ulcers) a good background of what pressure sores are, and how they are more common among older people¹. I’ll summarize some key points they make. When there is pressure on skin, particularly over bony areas – to the extent that it reduces or cuts off blood flow to the skin, there is risk. It only takes blood flow to be cut off for more than a few hours to heighten this risk. This is because without blood flow to the skin for more than a few hours, the skin dies, beginning at the outer layer, the epidermis. Skin in the pressure area breaks down, and an open sore (ulcer) develops. Those at the highest risk of developing pressure sores are those who have recently been hospitalized and or recoverying from injury or surgery, those who are not able to move easily or at all, those paralyzed, very weak or sedated. Furthermore, those who are chair bound, are unable to reposition themselves or are bedridden are at risk. Being aware of the condition of your elderly loved one’s health situation is the beginning. 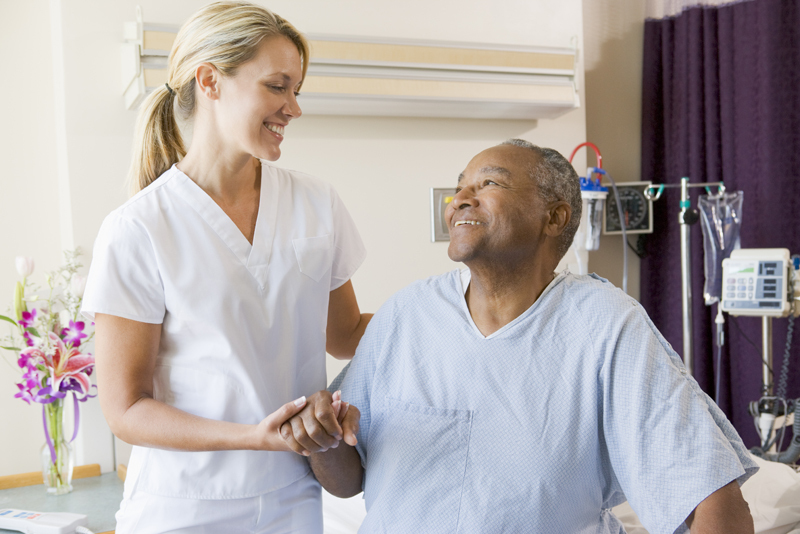 The home care aide can set up schedules and see to it that activities part of the schedule are completed meticulously. These include reminding your elderly loved one to take their medication at the correct times. Following a good nutrition plan will ensure that your elderly loved one receives the needed calories and nutrients for proper functioning. Hydration is paramount to ensuring healthy skin. In the area of personal care, the home care aide can assist with proper toileting at the appointed times. Personal cleaning will prevent unnecessary moisture to areas of skin prone to fostering skin irritations. The home care aide can set up a schedule of turning and repositioning the elderly loved one to relieve pressure on sensitive areas prone to pressure sores such as the heels, elbows, hips, bottom area and other areas. When repositioning or turning the elderly loved one, the home care aide can follow a movement routine, using approved methods that reduce pressure while not putting excess friction on skin and preventing skin tears. The home care aide can provide companionship while your elderly loved one is being turned, or repositioned. This can bring comfort and encouragement to your elderly loved one, making a challenging time for them more bearable. The home care aide can provide immediate feedback to you, the professional health team consisting of doctor, physical therapist, occupational therapist, home health nurse and dietician. What I find encouraging is that experts agree that pressure sores are highly preventable. It takes a concerted effort of the entire professional health team to assess, formulate a care plan, direct caregivers to follow the care plan, direct caregivers to provide immediate feedback whenever there are concerns with the color, texture and any pain that the elder loved one feels. When care procedures are followed and immediate feedback is provided, the professional health team can monitor the situation and prevent weeks of pain, inconvenience and healing time needed. Often healing of pressure sores can take weeks, even months. Your schedule may currently be packed with juggling career, and family life including the care of your own children. Having a home care aide working one on one with your elderly loved one will bring you the peace of mind that the proper steps to ensuring that their skin is the healthiest it can be through the above mentioned steps. For more information on pressure sores I encourage you to read the sources provided below.